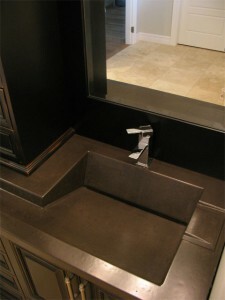 Concrete Countertops, Fireplaces, Sinks, Creations! Uniqueness is the main reason customers choose concrete and our reputation is why they choose Liquid Stone Studios. Concrete’s versatility allows designers and architects conceptual freedom. Full spectrum service from proof of concept, to installation enables us to bring your visions to reality. Craftsmanship, cutting edge techniques and mix designs, result in the highest quality products. 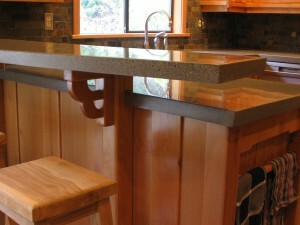 See how our fine concrete differs from other high-end countertop materials. Custom colors, inlayed decorative elements and finishes assure a personalized touch to your counters. 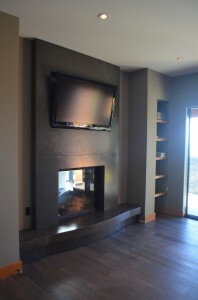 Collaborate with us to design that feature fireplace to become the focal point of a room. Concrete’s limitless potential for textures, colors and styles can blend in or set the tone for a new decor. Custom precast pieces also compliment wood and stone elements beautifully. Renovations are simplified with thin-section concrete pieces that slip over an existing brick fireplace. 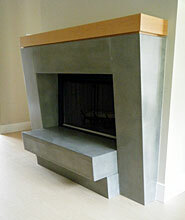 Fine concrete creates a “wow” factor in even the smallest room of the house. 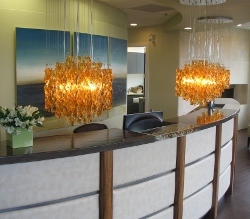 Recessed lighting or embedded fiber optics create a glow for late-night visits, or set the mood for a relaxing bath. 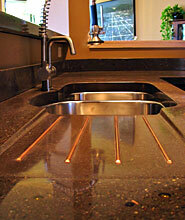 Integral sinks meld design and function: our fastest growing line. Have a question via email? 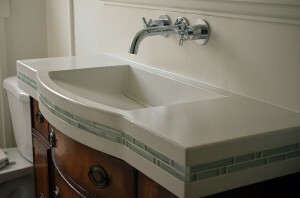 Since 2005, we have crafted the finest, pre-cast and decorative glass-fiber reinforced concrete for countertops, vanities, fireplace surrounds, sinks and architectural hard surfaces. Accredited Business since December 2006.